This 30th birthday of the compact disc got us wondering what the CD is doing in its post-fame life. Warning: This is not a happy story. This 30th birthday of the compact disc got us wondering what the CD is doing in its post-fame life. Warning: This is not a happy story. Perhaps like its elder brethren the vinyl record and the audio cassette tape, the has-been has seen a sort of retro renaissance, we thought? CD sales have suffered for the last decade or so, seeing a 76 percent decline in sales through the aughts. But, they haven't disappeared completely, and in 2011 the number of people who purchased a compact disc actually increased to 78 million, a 2 percent gain. This relic must have some niche places in society, then, right? Yes, but it hasn't quite reached the hip-status of a vinyl record or the tape, which have both seen a small cultural comeback of sorts. We did some digging and at 30, here is what the CD is up to. Like that time Lauren Conrad put her smelly outdated books to good use, some people use their old CD collections as homemade scare crows for all types of birds. All over YouTube we found clips of people using the old music playing discs as shiny distractions for flying animals. It sounds a little bit cruel, as eHow's Jim Harmon describes it below. "It twirls, it picks up the sunlight and creates a little bit of an illusion of a prism, flashing the light off of it, birds don't like that... it irritates them, freaks them out, it scares them." It's a pretty crafty way to shoo them away. They do exist. Over at CDCollecting.com we learned about how being a CD collector is very different than having a CD collection. "Everyone has a collection of CDs, some quite large, but a CD collector is interested in not just collecting CDs," the site explains, "but in collecting a particular type or kind of CD based on some common or uncommon characteristics." There are so many different types of CDs one might want to collect, from laser-etched to the Backstreet Boy-shaped example you see to the right, making this a real hobby. We also found what looks like a very outdated site for AOL CD collecting, which describes itself as the "new high tech version of basbeball card collecting." We can't say for sure how popular a hobby these are is. CD prices would suggest not very, with eBay selling that Backstreet Boys shape CD for $9.99. Amazon also has a trade-in program. But that doesn't sound too lucrative, either, with the site offering $2.30 for Adele's 21, for example. But, who knows, maybe having every color of Britney Spears' debut CD will be worth something to someone some day. 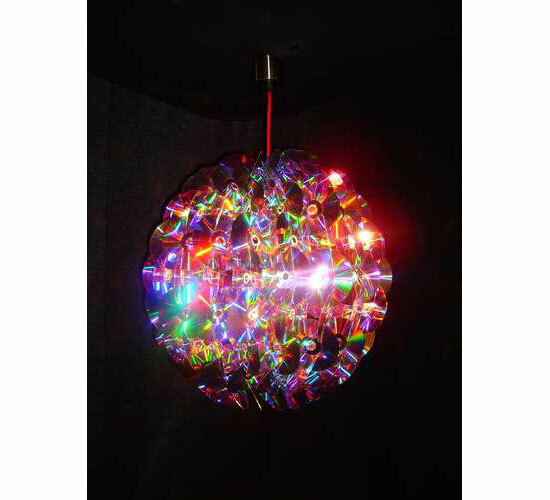 Depending on your aesthetic, CDs can make what someone somewhere might call a pretty home decoration. 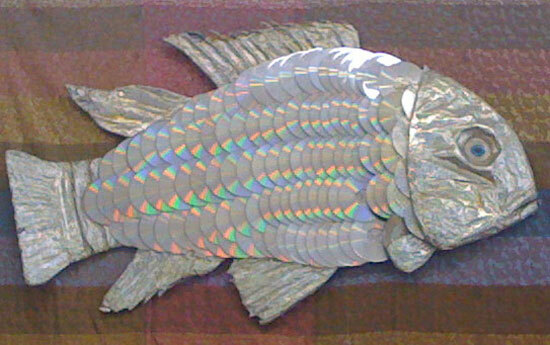 We have the CD Christmas ornament; the CD candy dish; the popular CD chandelier; the giant fish made of CDs wall decoration (pictured above); the giant bird (pictured below), to give some examples. People have gotten pretty creative with these guys. For the truly uncreative, however, TLC has a the Ultimate Guide to Recycled CD Crafts. Though the trends show that digital music is the future, CDs are still the second most popular way to listen to music, after radio, according to recent Neilsen data via The Wall Street Journal. That is until they scratch and start skipping all over the place. Then, they turn them into an iPhone dock.